It’s Happening! …or is it? Wait…what’s happening? First, a note: I apologise for the recent lack of popular science exploration. I felt like expanding the blog to include more than just that (although I will endeavour to make that the main focus) as science is a universal topic and there are some issues that do need to be talked about (or ranted about, depending on your outlook). However, in a contemplative fashion, I thought I’d jump back on the popular science bandwagon. Except this bandwagon is also the ‘awful movie’ bandwagon too, so buckle up…it’s going to get bumpy! Years ago, when I was a budding scientist who thought ecology was a frail and dull textbook exercise (it isn’t! ), fate dealt me a most unexpected card: I found myself in the cinema, watching M. Night Shyamalan’s then-latest thriller ‘The Happening’. I can’t remember who I went to see it with or what possibly possessed us to go watch it. I’d imagine it was a complete disregard for societal norms and a misguided sense of rebellion but what do I know? Oooooh err! The Happening. Sounds daunting enough! And before you tune out, this isn’t a movie review so much as a science dissection lesson. I was incredibly disappointed by a lot of what the movie had to offer: it nearly ruined Zooey Deschanel as an actress for me (…but…it couldn’t, for I do admire her so) and Mark Wahlberg? Well, Mark had to produce The Other Guys and Ted to claw himself back into my good books. But claw he did and now I somewhat admire his not-so-great acting skills because, well, he was also in Planet of the Apes. Alas! I digress, for it is the science of it all that you came here to discuss and that is what I shall deliver! Let us press on…. Well, I suppose it would be if this movie’s science was logically sound. Which it isn’t, but almighty being or great nothingness help us if it is! But it would be a dilemma for conservationists and nature lovers indeed. The plot line is essentially this: humans, in their typical humanistic ways, have exploited the planet and its plants for far too long. In retaliation, the plants carefully coordinate an attack back against humanity by producing chemical, airborne toxins that affect human brains. And by affect I mean drive to maniacal suicidal tendencies. I think the worst part is that this plot may have worked if we didn’t find out the major twist like half an hour or so into the movie. The first scene was genuinely worth it as it did build up a good bit of suspense. Sadly, the rest didn’t follow suit. Who ya gonna call? ASSUMPTION BUSTERS! That seems very highly unlikely, if not impossible. It is true that plants have toxic defences. This can take the form of chemicals they can release to lead to the death of their attackers (i.e. by releasing chemicals that attract predators of the plants’ predators) or toxic chemicals that can be seriously harmful, if not fatal, to any unfortunate attacker not evolved to defend themselves against it! Some plants can even release chemicals to specifically target other plants that may be, to put it mildly, ‘messing around on their turf’. But to say that plants can knowingly release chemicals in a coordinated and purposeful attack against humans is a bit farfetched. So this assumption is assuredly BUSTED. 2) ALL, or many, plants of different species are capable of producing the exact same, or similiar effect-producing, chemicals and deploy them in a coordinated fashion at pretty much the exact same time. That is, plants as an entire collection of species can evolve in such a widespread fashion, in such a short space of time, that they can defend themselves against the ‘human threat’. This…seriously goes against the idea of evolution. Viruses evolve incredibly fast because they have such a high turnover rate – that is, they can go through generations and generations of viruses in an incredibly short space of time. So the rate of evolution, one can generally say, is dependent on an organism’s lifespan and population turnover rate. In The Happening, we saw trees, as well as other plants, able to create these human-killing chemicals. As trees takes AGES to grow, and other plants really do not have such a massive turnover rate to both 1) create a mutation to produce this deadly chemical and 2) spread this genetic mutation across species and populations..and across geographical borders. Hmm. Evidence enough? I should think so…BUSTED! 3) Plants would be able to detect human organisms and only release the toxin when they are detected specifically as the chemical affects no other known animal. Again, I am dubious given the revelations of point 2, above. Plants would also have to develop evolutionary receptors to detect…human-specific chemicals or some such. But, given the timescale, I’d say it’s highly unlikely, especially across so many species. BUSTED! 4) This toxin is able to completely override the ability to think rationally and have the use of free will. In short, it completely focuses on the target individual on one goal: their own demise. Now, whilst this is somewhat of a possibility (assuming all other assumptions are correct), I’m dubious that such a chemical could invoke such a specific response and override all other rational functions. I do realise there are certain mental disorders that can cause the symptoms, at least partially, but one chemical specifically? I think it’s more likely if the plants release a toxin that is highly lethal to us – e.g. a poison. However, it would probably be a poison that would not specifically target us, but also at least a few other animals too. PRETTY BUSTED! 5) Plants have a non-chemical means of mass communication to coordinate such an attack. I say non-chemical because the response can be said to be worldwide (or, you know, America and France which is ‘worldwide’ enough) and so chemicals would probably not be able to travel this distance in such a short timeframe. Now, there is research to suggest that plants can ‘chemically’ communicate with each other, for example when warning of attacks from predators. However, such a widespread communication as is seen in the Happening is just…really unlikely. You would have to get a certain amount of individual trees or other plants in each geographical region to communicate with each other somehow, most likely chemically, either all at the same time or pretty much around the same time. Pretty, pretty unlikely, if not impossible, due to the logistic strain. BUSTED! 6) Having dessert with another female constitutes adultery. And an awful sub-plot line which not only goes nowhere, it makes you wonder what Zooey Deschanel saw in Mark Wahlberg in the first place. Darnit, Zooey, go find a man who won’t even entertain the idea of sharing an appetiser with another woman! Like me. Ahem. Seriously, Zooey. I’m even scared to entertain the notion of sharing free tap water with another human being, let alone another human. LUSTED! So there we go. Those assumptions are, on the incredibly huge majority, pretty fragile when we put it to the test of logic. I would say that it is still a great imaginative piece of work except…it isn’t. I do apologise for the blunt statement but the truth is sometimes very hard to bear. Or, sometimes, it’s incredibly obvious and you should just go watch something awesome instead. 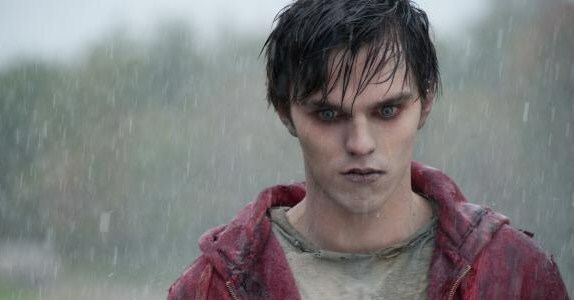 Like Warm Bodies. Happy Valentine’s Day too, friends! ~ by tazjagdev on February 14, 2013.